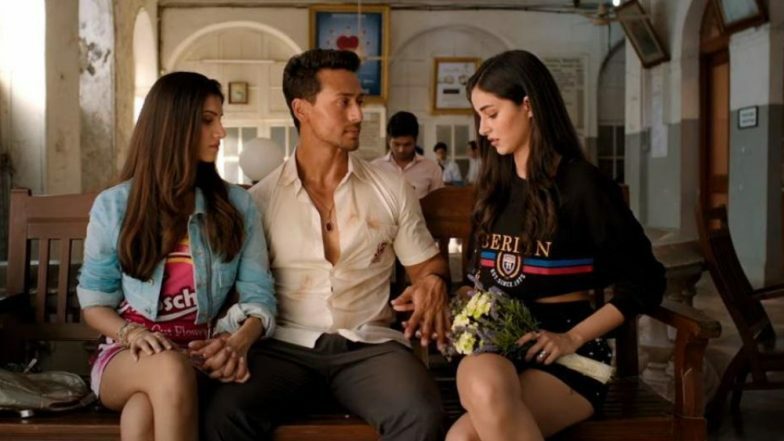 Student Of The Year trailer was released recently and we bet ever since, you have been wanting to see more of the Tiger Shroff, Ananya Panday, and Tara Sutaria starrer. The first song from the film is all set to release tomorrow and it is the same one that got us all grooving in the trailer. The stars of SOTY2 are all set to dance to the classic song, "Yeh Jawaani Hai Deewani" in the film and we will finally get to enjoy the song tomorrow. Ahead of the song release, the SOTY 2 trio released a fun announcement video. Student of The Year 2: Alia Bhatt to Shoot a Special Song for Tiger Shroff, Ananya Panday and Tara Sutaria Starrer - Read Deets. In the video, we see Tiger, Ananya, and Tara dancing to the original 'Yeh Jawaani' track featuring Randhir Kapoor. Tiger confesses in the video that this is his father, Jackie Shroff's favorite song and he's thrilled to dance to it. Ananya too says, "It's such a privilege to dance to this song." Just like the original film, Student Of The Year featured a "Disco Deewane" song remake that got everyone grooving, we expect the sequel to do the same with this song. Earlier, reports suggested that the SOTY team of Alia, Varun and Sid will also be joining the new students for a song and we wonder if it will be this one. Let's wait to see what the first song of Student Of The Year 2 has to offer. Are you excited about this song remake?